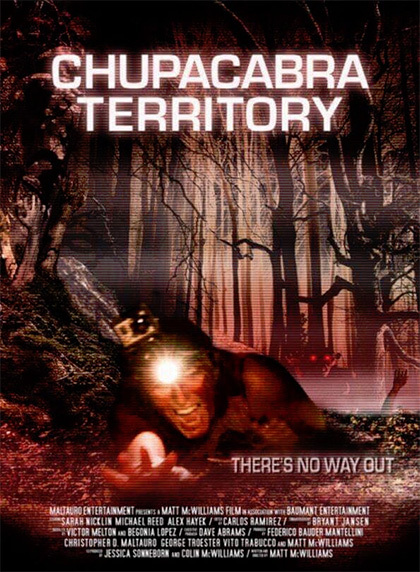 The starting premise of this found footage movie is the Blair Witch Project if they were hunting the Chupacabra instead of a witch. Replace all the performances in the Blair Witch with much more unrealistic, bad interpretations. Take away the potential for the found footage to be real. Which originality, marketing and word of mouth had you in disbelief about back in the 90’s. Add some extra characters to be killed off. Over sexualize them to make a proper scary movie. Add in a cover-up conspiracy for good measure. Then make the entire movie fall apart as it goes in too many directions. How is there someone covering the Chupacabra tracks as the movie progresses but somehow this footage was overlooked? They wiped the ground so there were no footprints to be found but somehow overlooked the video camera recording it all. Summoning the chubacabra in a séance? Needing sexual stimulation to summon the creature better? Then after getting laid, you don’t summon the creature again at all? This movie was all over the place. The majority of the kills were the people getting attacked, dropping their cameras then getting drug off screen. This happened so many times it was redundant. Chupacabra Territory wasn’t all bad. Shaky cam wasn’t bad enough to give you a headache as it’s 90’s predecessor did for some. Hypnotized masturbation seizures was the best part of the movie for me and I have no idea what the intention was there.